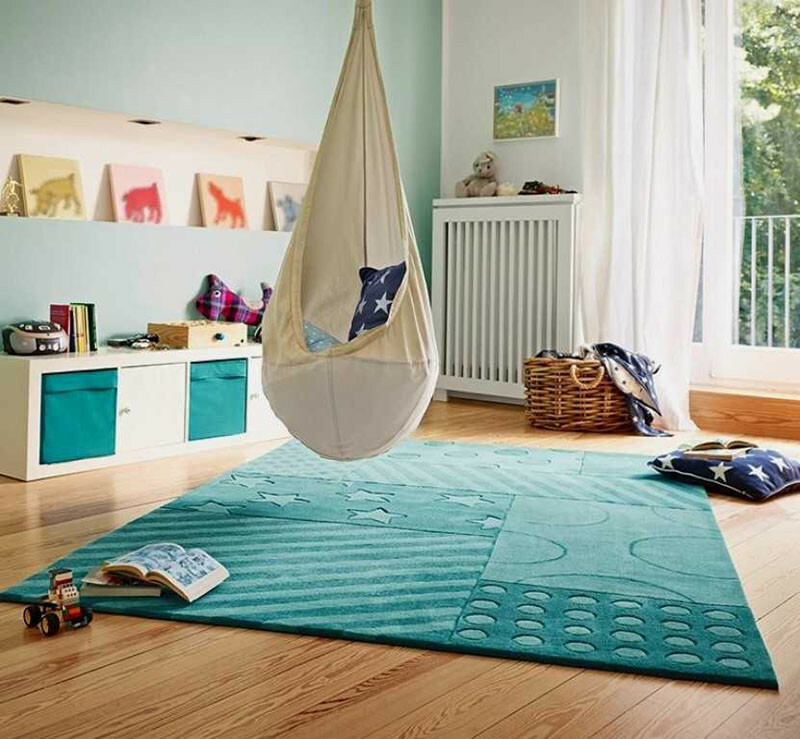 Kids rooms often need comfortable floor coverings because kids spend a lot of time playing on the floor, and concrete, wood, or tile can be kind of hard to sit on. 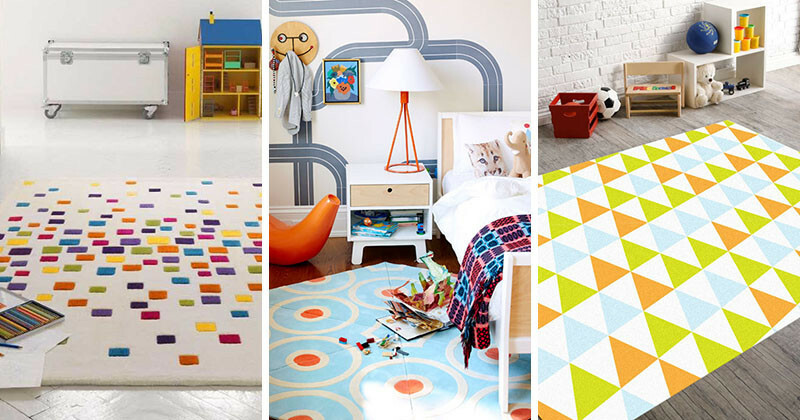 Also, kids love colorful happy rooms, so here are 10 rug ideas for adding color and comfort! 1. 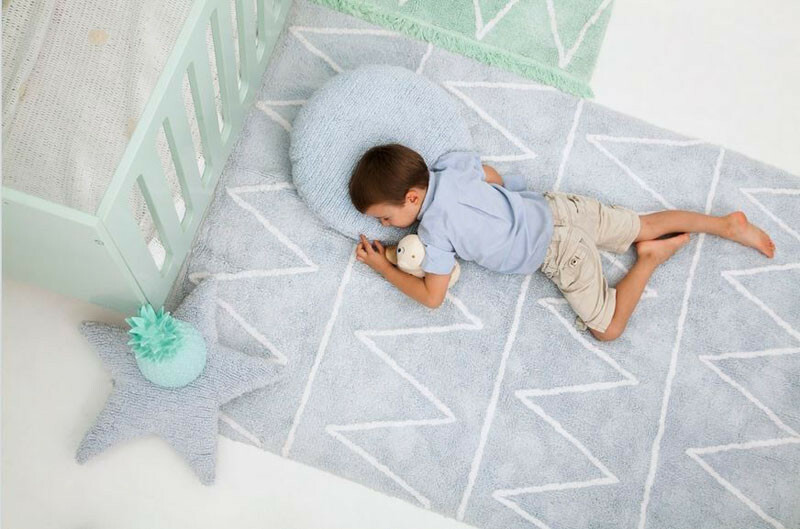 This hexagon shaped rug is actually made up of a bunch of triangle shapes that attach together. 2. 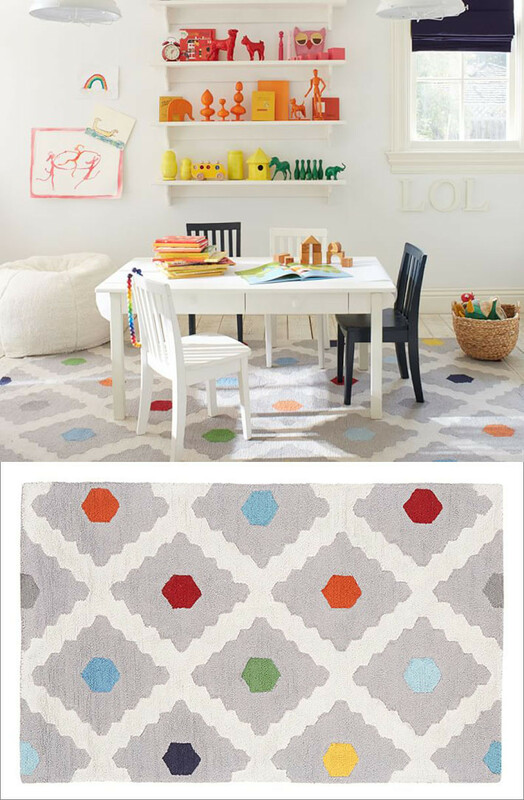 This bold geometric rug is definitely not for those afraid of color! 3. This red and white rug can be used indoors or outdoors. 4. 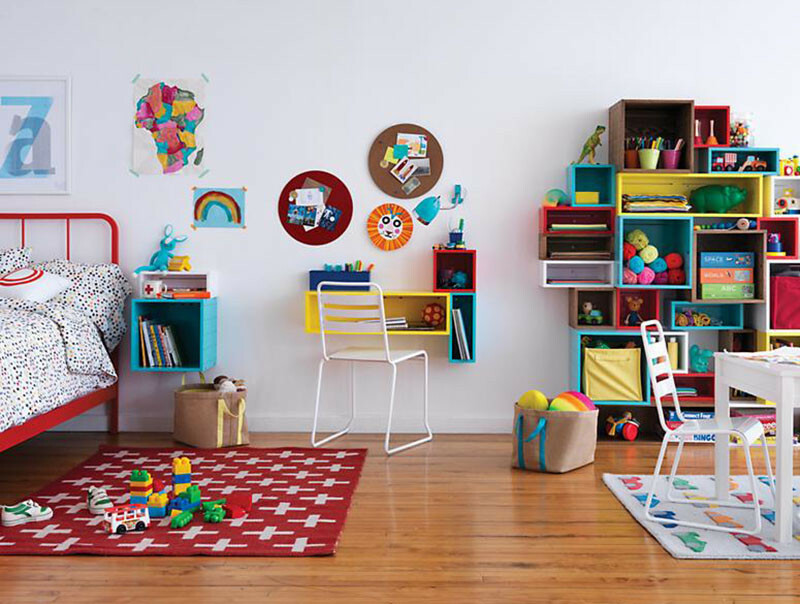 Rainbow dots with a touch of grey are perfect for both boys and girls. 5. 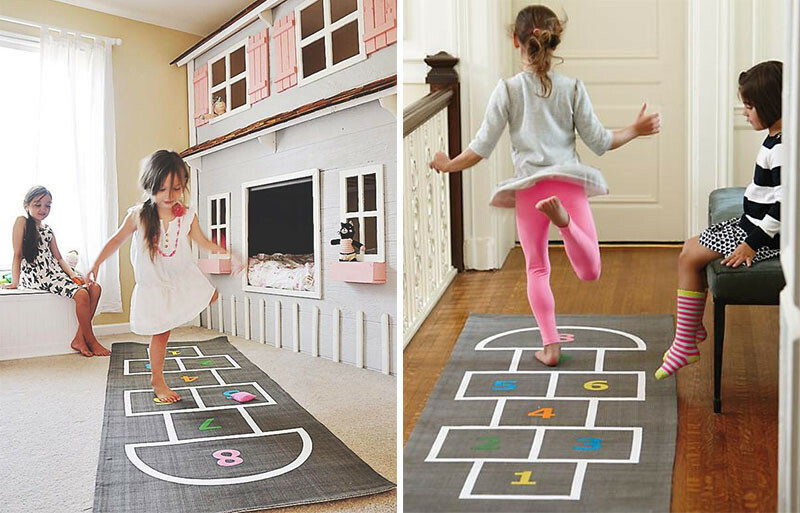 This grey and white rug with colorful numbers does double duty as a Hopscotch game. 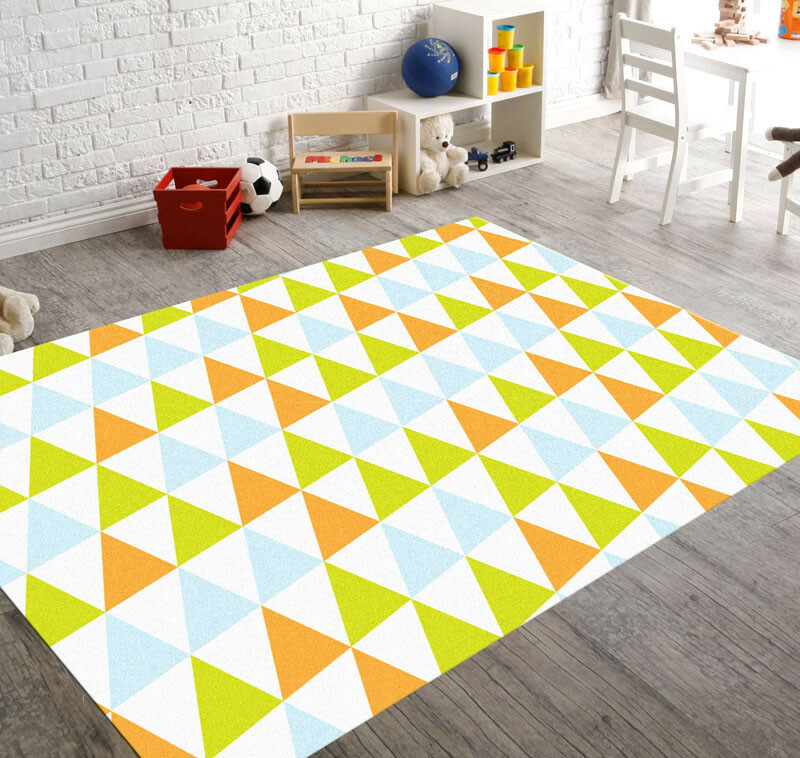 Hop, Skip and a Jump Playmat by The Land of Nod. 6. 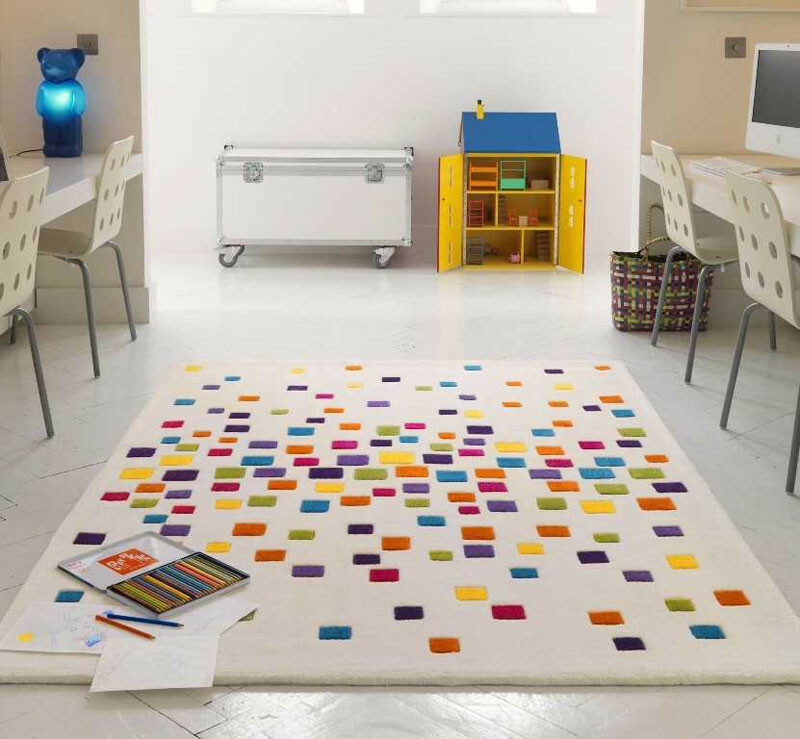 This rug adds a sprinkle of color. 7. This rug has a button design with colored threads. 8. 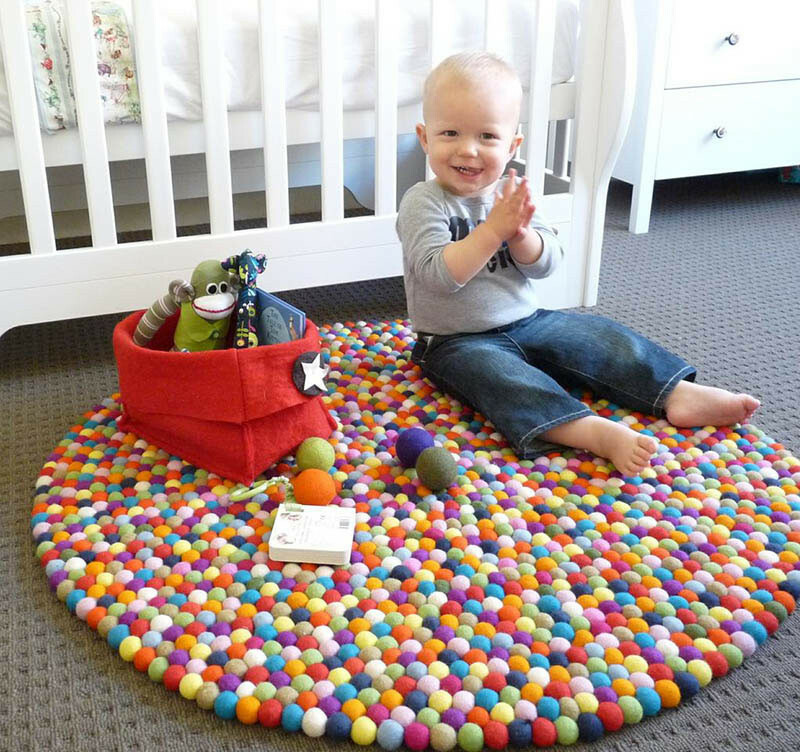 Lots of colored felt balls make up this round rug. 9. 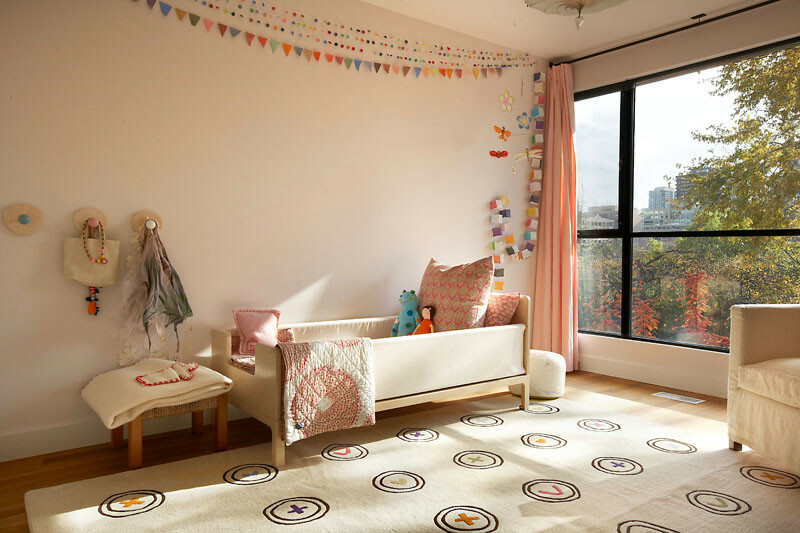 Softer pastel colored rugs are perfect for nurseries. 10. This solid teal blue stars and stripes rug adds a bold pop of color.